A Mix Mélange – Keep your message clear. As director of marketing, I see dozens of pieces of content a day (sometimes hundreds) – from tweets to dinner menus, I read it all. Most items get a quick glance before approval (kudos to my designers/account managers), others get minimum changes. But every once in a while there is a special one. One that makes me stop everything and figure out a better way to say it. Enter the Mix Mélange. Even though we have design and writing standards at Up to Par, even though we follow the AP Stylebook (with generous exceptions) for our communications, the Mix Mélange happened. According to Merriam-Webster, a mix is defined as: to combine (two or more things) to make one thing that is the same throughout. A mélange is a French term defined as: mixture of different things. Even though we have design and writing standards at Up to Par, even though we follow the AP Stylebook (with generous exceptions) for our communications, the Mix Mélange happened. This particular side dish spurred a discussion on food preparation, menu composition, the chef’s creative license to describe his food, and most importantly, would the customer understand what it was? An hour later, we finally came to agreement on the proper name for the dish. A name that gave into the chef’s flair and would accurately describe it to the customer. And that, my friends, is the key to hospitality marketing – ensure the customer can understand the message. Does the customer know what it is? How is the customer purchasing it, or what’s the call to action? When are we distributing it? So, how did that mélange land on my desk? The offending dish followed the proper channels: it was created by the chef, uploaded to the information sheet, an email was generated to the designer/account manager, designer built the collateral, and the mélange was comfortably sitting in my inbox one pre-coffee Monday morning.  We’ve worked hard at creating our marketing processes and design standards at Up to Par and I’m extremely proud of how every associate on the team tries their best to follow them. Were not for those processes, the hour-long conversation would have turned into three days of emails and voicemails (since chefs are usually off during the early part of the week) causing endless frustration on the marketing team. After more than a decade in the business, I’ve been there more than once. I’m pretty lucky to work with a team who believes in communication. IMs, text messages, emails, phone calls, and even the occasional facebook message, are all part of the deal. It is that constant communication that allows us to deal with the occasional muddy message, or mix mélange. In case you are curious, the menus and email communications were delivered before lunch that day proudly displaying the chef’s special: Herb-crusted Prime Rib with baked potato and a California vegetable mélange. And we sold out!